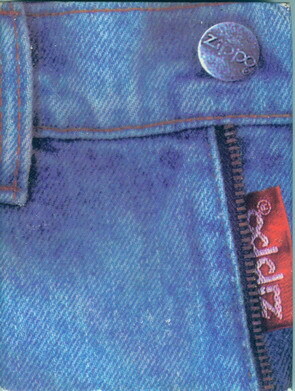 Levi Strauss Comapany. 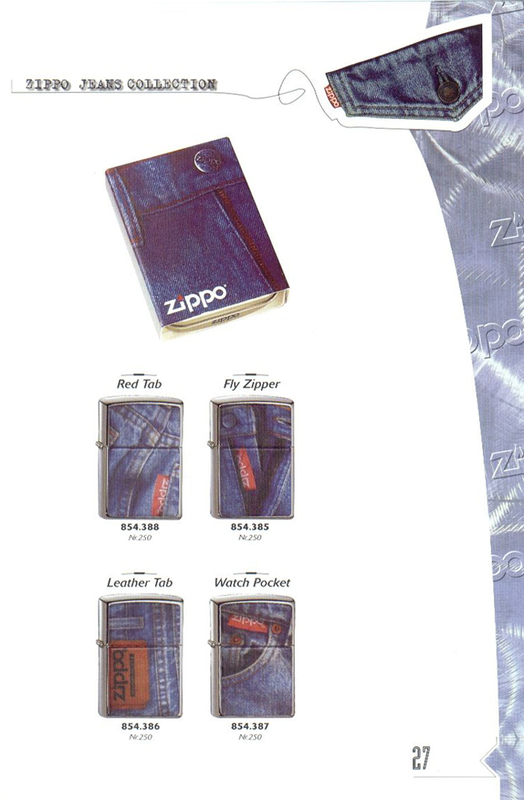 In fact it was a trademark infringment & the selling of these models was enjoined very soon. 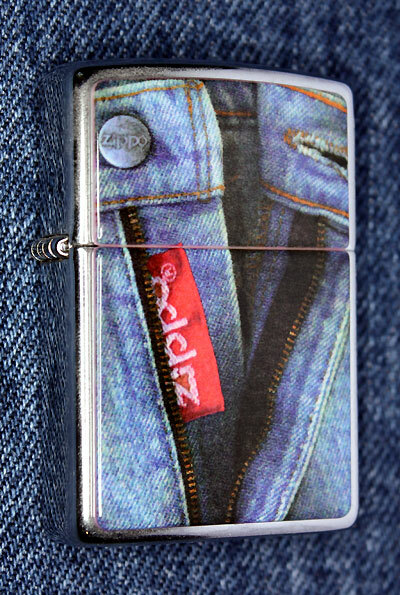 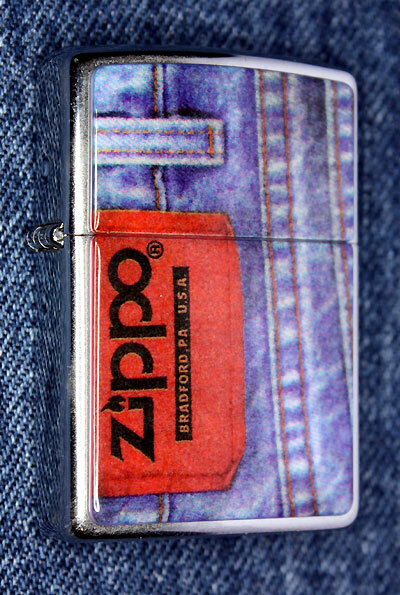 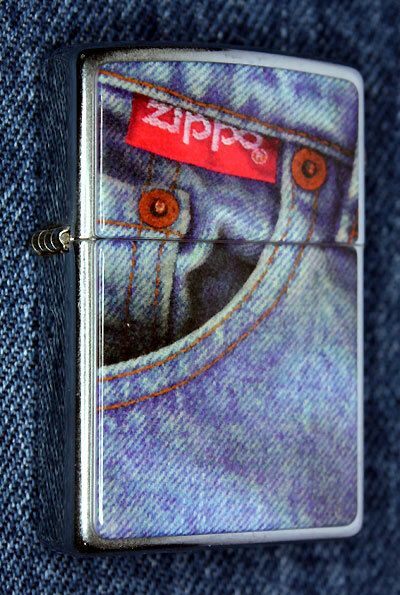 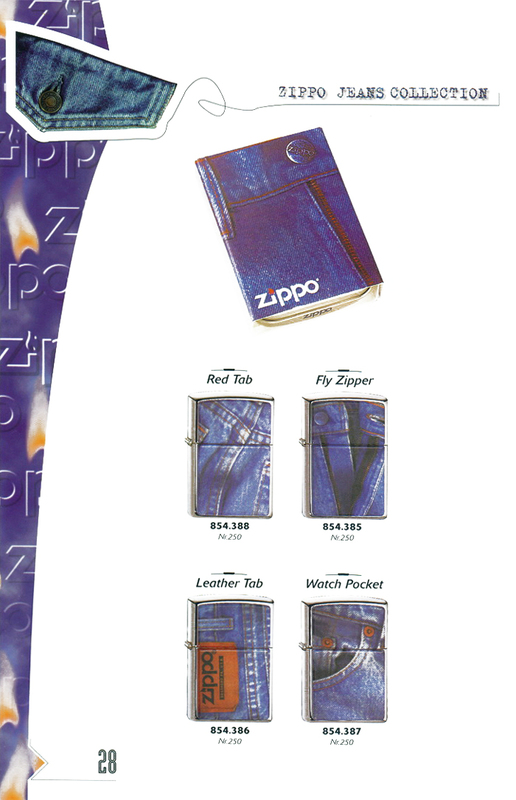 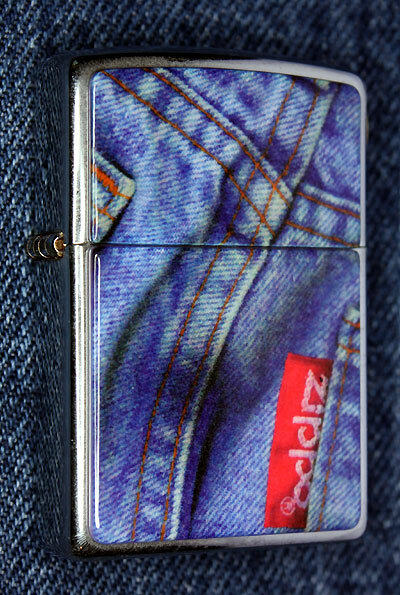 A year later, in 1998 the design of these three models was changed by the Zippo Manufacturing Company.